The BioBolt EVO3 is available in four different finishes; Brushed Nickel, Polished Brass, Aged Bronze, and Antique Brass. Custom finishes are available with a minimum quantity order. The BioBolt EVO3 was designed in the United States by Intelligent Biometric Controls Inc. This fingerprint and pin pad deadbolt features a protective slide cover for the scanner, keeping it protected from the "elements". 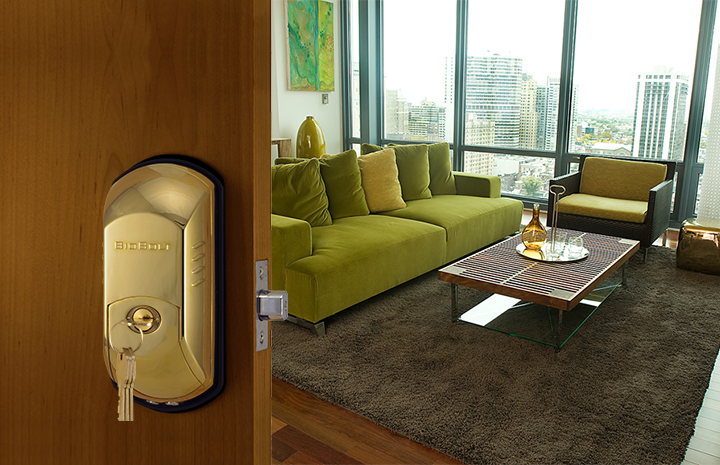 With the input of thousands of US consumers as well as multiple well-respected US locksmiths and security firms, we have created a deadbolt lock that truly accomplishes a unique blend of style and unparalleled security. 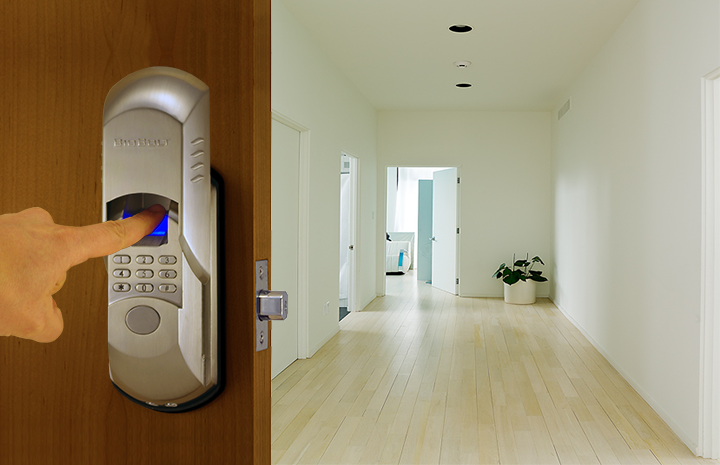 In addition, we have secured the highest quality components for the BioBolt® EVO3 to redefine the standard in biometric locks. 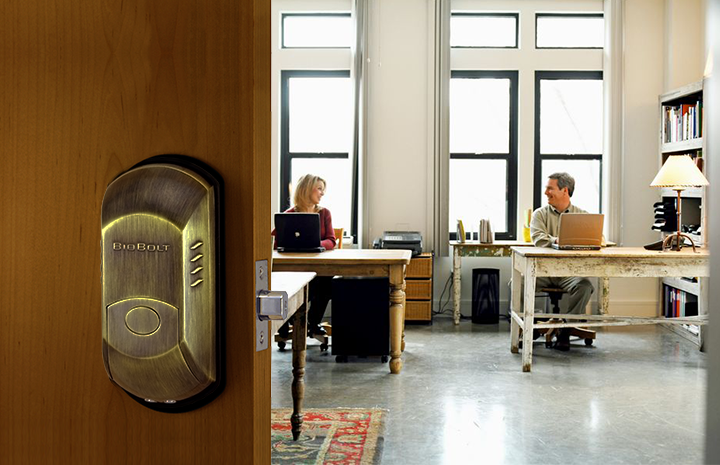 It is the first biometric deadbolt that offers a pin pad as an alternative to gain access to a secured area. 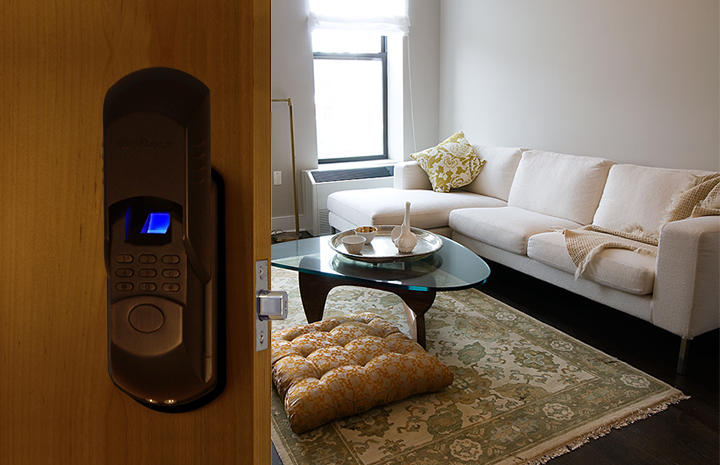 This lock will fit your existing US standard deadbolt hole without having to modify your door.